If clothes make the man, and help make the brand, then I wish I had spent less time learning how to write and more time learning how to dress. After talking with my marketing and management consultant, Rhonda Serendip, and expressing my wish to become a noted writer, Rhonda emphasized that an important part of my brand was my look. To develop that look, I decided to study some of the sartorial preferences of the top American male fiction writers of my late boomer generation, observing how they present themselves to their reading public. The ones I’ve heard about the most and whose works I have read snippets of include Michael Chabon, Jonathan Lethem, and Jonathan Franzen. Concentrating on their faces and fashions, I’ve come away with several important lessons. On the facial plane, these men sometimes remind me of a handsome Clark Kent before he tosses away his glasses, peels back his jacket, and pops his shirt buttons to reveal workout tights and cape. Like Clark, these authors of note prefer horn-rimmed glasses. I imagine that they all need them, but did Clark Kent need his? Some glasses are clearly worn for effect, and when I see pictures of these writers, I’m left to wonder. Another common facial feature of these prolific inkers seems to be their several days growth of beard, although this stubble never grows into any substantial length, nothing to rival the whiskers of a Charles Dickens or Walt Whitman. And anyone who has been blinded by my shiny pate must have guessed how I envy these book jacket authors their thick flowing locks, often worn wavy but capable of multiple stylings. One could do a study on the many coifs these men have donned throughout their careers, from shoulder length to closely cropped, only recently having settled into respectable lengths. In terms of clothing, my observations come from photographs, so I can only speak with expertise about these writers from the waist up. Overall, they tend to prefer a layered look, donning from one to five layers if I’m counting correctly. Starting with t-shirts, they go with dark or muted colors, only an occasional white one. Over the tees, solid-colored or plaid button-down cotton blend shirts predominate. Shirt collars are left unbuttoned; ties and bowties avoided like kryptonite. Overtop their shirts, I have seen Lethem heavily vested, Franzen in sweater, but more likely, these noted penmen skip the sweaters and vests and move on to textured or patterned blazers in earthy tones. Their jackets appear professorial but refuse the elbow patches that one might associate with an English professor. Working writers, I suppose, don’t wear out the elbows of their jackets as might a teacher who toils along with students in the university trenches. Finally, wintertime photographs feature these authors leaning against buildings or walking the mean city streets, hands in pockets, with black wool, wide-collared coats, necks wreathed by scarves. 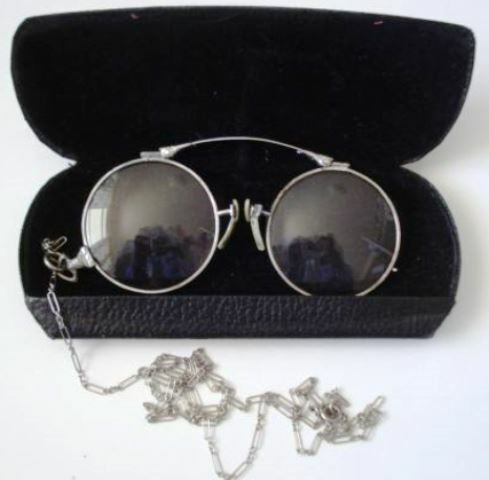 A pair of used 19th century prince-nez can be easily fitted with new reading lenses: $50. Absorbing these images and taking what lessons I could from them, I recently had the chance to read one of my stories at a promotional event. The story had been published in a small Baltimore lit journal, and the reading was intended to interest an audience in buying that journal. My task was to read part of my story and stop short of its conclusion. The event seemed as good a time as any to put my fashion lessons into action. I had a few of the clothing items I needed but I went shopping to fill in a few gaps. Here’s what I ended up with. For shoes, I bought some Rockport Oxfords and paired them with dark brown socks. For pants, I purchased charcoal gray, washed-out chinos. Above the waist, I put on a dark blue t-shirt, which I wore beneath a forest green plaid button down with open collar, and over this, I donned a brownish sports coat with a velvety texture. When it came to my face, I stopped shaving several days before the event to gain the proper bristle, but I must admit, I am getting old, so my oval head features deep crevices around my mouth and eyes. And while I smile easily, I try not to do so too often as my teeth are much stained from coffee. There was one area, however, where I did borrow from my fashion mentors. As I am farsighted, I already had a pair of readers, and I thought these would stand in well for the thick glasses that many authors wear. Fashion fixed, I invited Rhonda, my marketing and management consultant to the reading, telling her that this would be a good time for her to critique my work and my dress, taking into account how the audience responded. That night I met Rhonda at the Ottobar, which turned out to be a warm, friendly, and appropriately seedy punk rock venue. The second story reading space had unbalanced chairs and tables, plywood covered windows, walls painted black, and a sleek art deco bar stocked well with beer, whiskey, and cordials. I made sure that before I showed up, I showered and put on deodorant. I even flattened my hair at the sides before leaving home. That evening, I stood before a crowd of twelve or fourteen listeners, including the bartender, and read my story about the years I worked for an architecture firm as a technician. While reading the piece, which concerned two guys who are sent out to measure an abandoned and dilapidated theater, I was surprised not to hear anyone laughing, since that had been my intention in writing. When I had stopped at the appropriate cliffhanger, I thanked the quiet crowd and abandoned the mic, taking up a wobbly chair next to Rhonda. I sat stunned and heartbroken. I filled her in on my research into the writers of my generation—Chabon, Lethem, Franzen—and made sure she could see my open collar. “Sure, I like the classics,” she said. “And I wouldn’t have taken you on if I didn’t. But here’s what I’m thinking. Take a look at Chuck Palahniuk of Fight Club fame or David Foster Wallace of Infinite Jest. 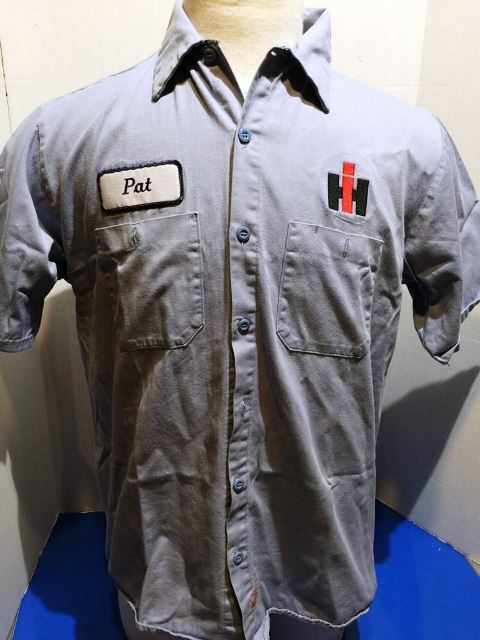 Mechanic shirts feature the patches of reputable manufacturing companies and enhance the author’s persona by creating associations with hard-working grease monkeys: $20. All of this sounded good. The mechanic persona sort of fit with my background. I had worked as an architect technician and once in the facilities department of a museum. I’d torn down a few walls, did some painting, installed phones, and got pretty handy with a drill and bits. I once even oversaw the construction of a hot tar roof. Maybe I could pull off the whole writer as mechanic guise. I still had a few common-man bowling shirts left over from the 80s when I liked rockabilly music. “There’s one other guy you should look at,” Rhonda said. Dandyism sounded interesting but I’d never considered myself very foppish. Should I adopt such a style however, I’d be filling a gap in the American literary scene, renewing a long-established tradition. “It sounds like a possibility,” I said. 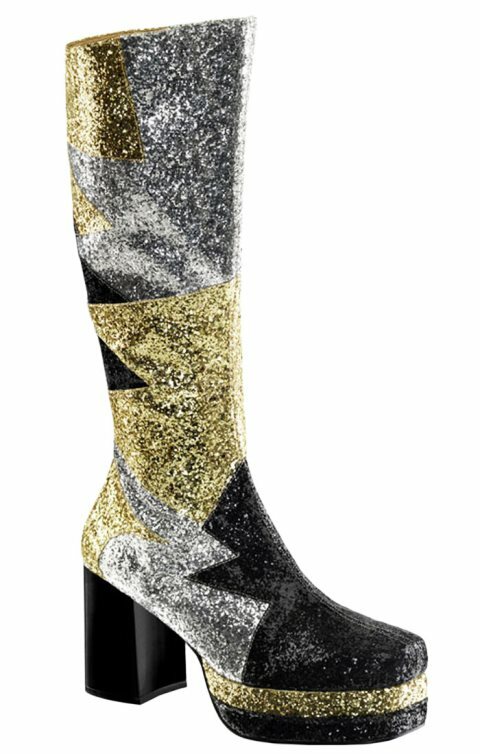 Once he enters the realm of the dandy, the author can push the boundaries of fashion footwear: $50. “I might even dye the hair I have left,” I suggested, getting excited. “Maybe green. That could represent my support for the environmental movement. Taking my leave of Rhonda and the Ottobar, it became clear that my analysis of the fiction writers of my generation had been too discriminatory. Like learning to write and limiting my exposure to certain books, in developing a fashion sense, I had restricted myself to looking only at one type of author. My authorial, sartorial range had been compromised by a small sample. Without Rhonda’s input, I might never have recognized all the options, never realized the existence of other fashion genres. If only I had had a Rhonda there to teach me about writing thirty years ago, it might not have taken me all this time to feel comfortable enough to post a blog, ask for work as a writer, or locate the ambition to write a short story or novel. All I had to do now was to choose one of two personas: the working class, literary mechanic or the aristocratic, bookish dandy. 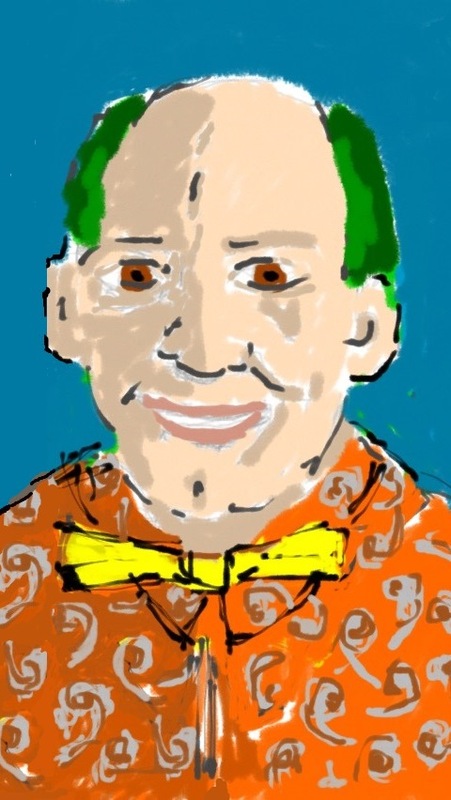 This entry was posted in Satire, Uncategorized and tagged boomer, brand, Charles Dickens, Chuck Palahniuk, dandy, David Foster Wallace, Gay Talese, Henry Rollins, Jonathan Franzen, Jonathan Lethem, Mark Twain, mechanic, Michael Chabon, Oscar Wilde, Ottobar, prince-nez, punk rock, Tom Wolfe, Truman Capote, Walt Whitman. Bookmark the permalink.